What is a mpz file and how do I open a mpz file? The MPZ file extension is a data file format known as the Miradi Project File. The MPZ file extension and Miradi Project were created by Benetech. 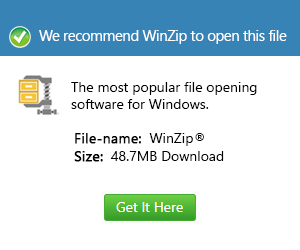 Specifically it is a file format used for Miradi Project Zip (.mpz) file of the Miradi project. It contains data used for environmental planning purposes, such as environmental targets and goals. Data is typically entered into an .mpz file using Miradi's Step-by-Step Interview feature. The Miradi Project helps teams to prioritize threats, develop objectives and actions, and select monitoring indicators to assess the effectiveness of their strategies. It is saved in compressed format to maximize disk space. Miradi is written in the Java programming language, so it should run on any operating system that supports Java applications. Files with the MPZ format can be opened with Benetech Miradi in Microsoft Windows, Mac OS and Linux platforms. Users can export Miradi project data to donor reports or, in the future, to a central database to share their information with other practitioners.